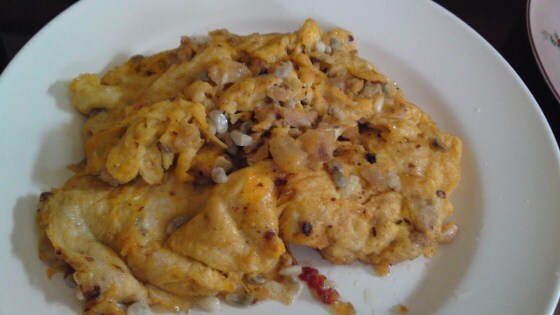 When I went to Laos in February and March of this year, I was introduced to Ant Eggs Omelet in Vientiane. Every morning there would be old ladies passing by the house to sell us fruits, vegetables, fish, meat, and other various grocery items. These ladies would carry their produce the old fashion way with baskets and a handle on their shoulders made from bamboo. On this particular morning there was a few hundred grams of ant eggs. The eggs were quite small, not as big as the ones I saw in southern Laos back in 2007. 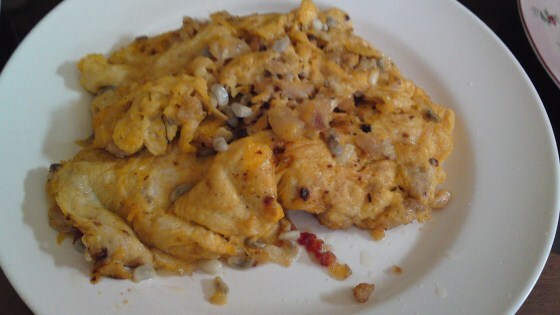 With such small amount of ant eggs, our cook decided to make ant eggs omelet to add to the breakfast table. I took a couple of bites for the experience and it was like the usual omelet with ant eggs popping in my mouth. Yummy!